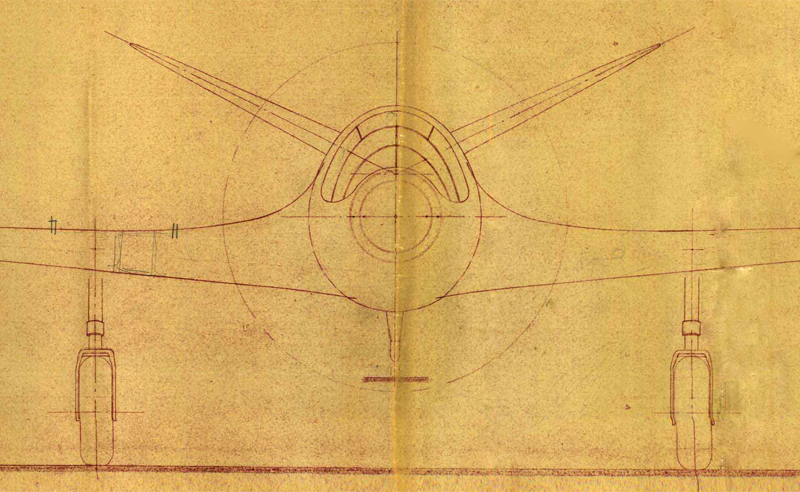 Original design sketches show how the raceplane evolved. A product of the late 1930s, the Bugatti 100P racer was conceived and developed in sketches and drawings, not computer-generated images. The artifacts here show that hours of nuanced and complex engineering went into the seemingly simple Art Deco aircraft. 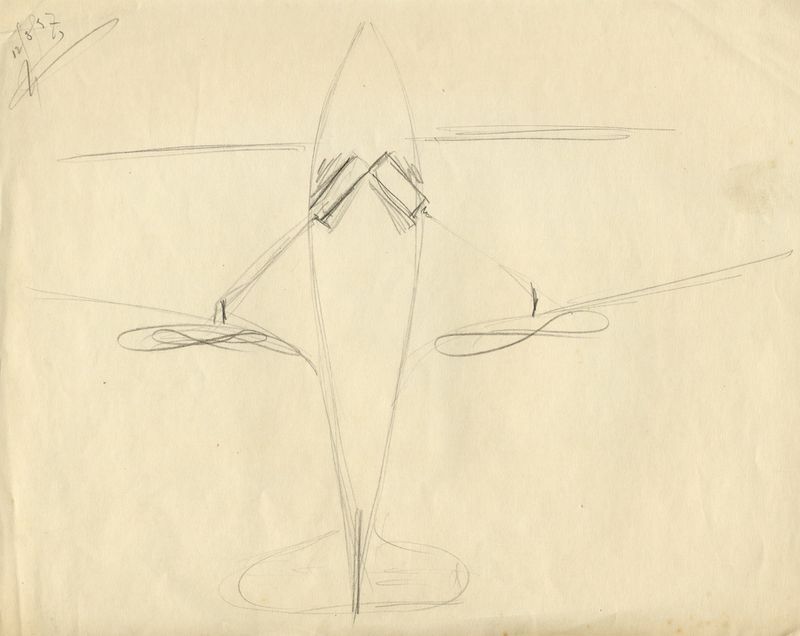 Dated 12 Aug 37, this drawing appears to be an alternative racer configuration that Ettore Bugatti and Louis de Monge considered early on. 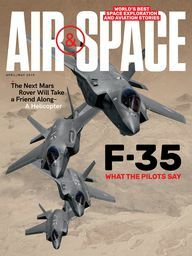 This engine placement would have mandated a large fuselage cross-section, resulting in increased drag and thus slower speed.